The Plasmacar Purple can be found in our Tricycles & Ride-ons product category within the Active Play. The streamlined and colorful PlasmaCar requires no batteries, gears, or pedals--simply hop on and go. Turning the steering wheel propels the vehicle forward and steers it as well. The easy operation will have your child driving, turning, and cruising all over the house in no time. Recommended for kids aged three to eight years, the car holds up to 220 pounds so older children and parents might be tempted to take it for a spin when no one is looking. Simply turn the steering wheel, and away you go! 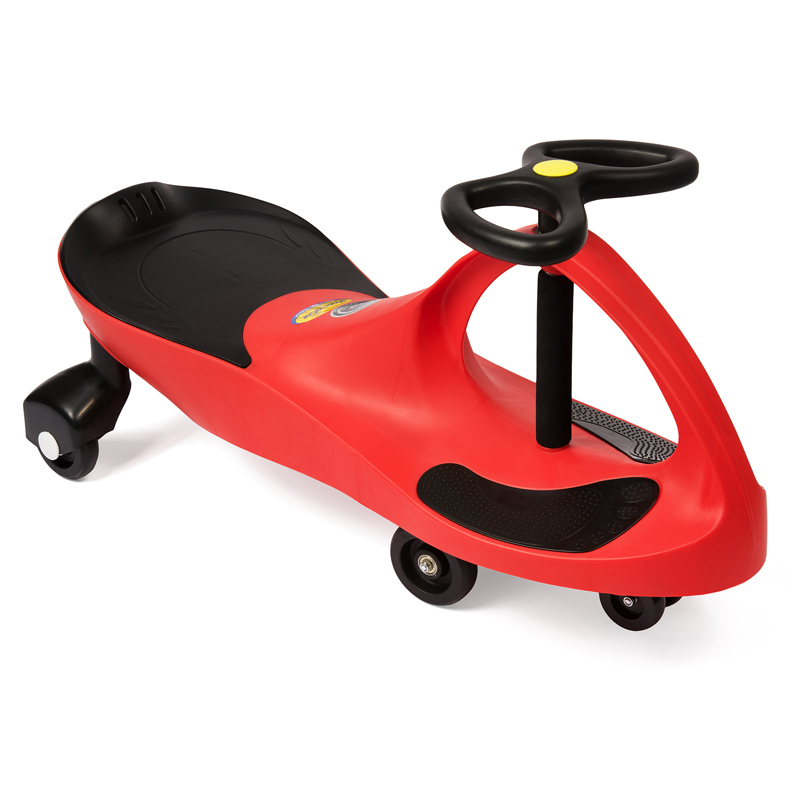 The PlasmaCar is a well-designed toy that provides a thrill that belies its simple, colorful look. Driving around the house, maneuvering nooks and crannies, and going in reverse never lost its appeal for our testers. They were surprised by just how much speed the car was able to pick up considering its manual operation. Our testers found the PlasmaCar rides best on hard flat surfaces. Carpet, grass, gravel, and other "rough" surfaces diminished the toy's ability to propel forward. The PlasmaCar rewards good hand-eye coordination and fluid movements and provides a fun way for kids to get exercise while keeping occupied. As kids learn to drive faster and more precisely, they will be developing motor skills. Young children who have trouble propelling the car forward by steering can still have fun on the PlasmaCar by pushing off with their feet. Because it has no electronics or motor, this toy is pleasantly quiet making it appropriate for indoor and outdoor use. The PlasmaCar is the winner of multiple awards, and our testers had to agree with the consensus: it is a truly superior toy. The PlasmaCar has a durable design that can accommodate children up to 220 pounds. Our testers suggest that adults meeting this threshold hop on and go for a ride themselves. The car is deceptively simple but a lot of fun. Putting the PlasmaCar together took our testers only a few minutes and required a rubber mallet and a screwdriver. In just a few simple steps, parents should be able to have the car ready for play.